﻿ M&A Apartments, Brisbane | FROM $105 - SAVE ON AGODA! Have a question for M&A Apartments? "Excellent value for money for a great apartment in a great location." "Comfy beds, well appointed bathrooms." 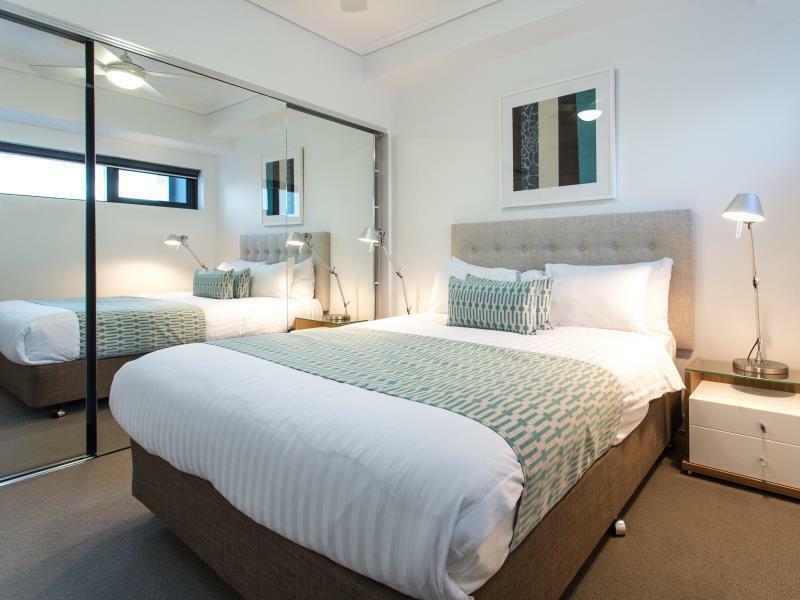 M&A Apartments is a 4-star self-contained apartment complex located in the James Street precinct of Fortitude Valley and New Farm, within a short walk of cafes, bars, restaurants, markets, and boutique shopping. It is a 5-minute drive from Brisbane’s central business district, Brisbane Convention & Exhibition Centre, Royal International Convention Centre, and Chinatown. The Royal Queensland Golf Club is a 15-minute drive away while the Brisbane Airport is only 14 kilometers away from the property. 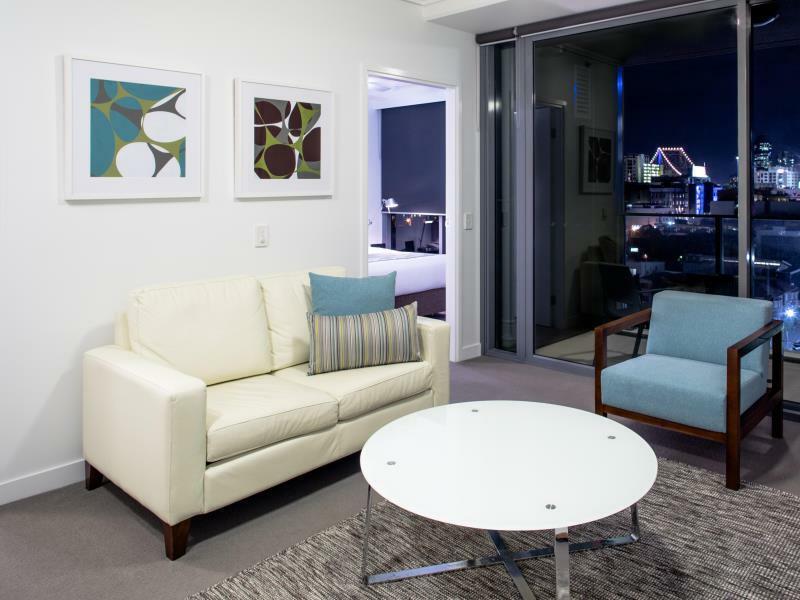 M&A Apartments offers visitors to Brisbane a choice of apartments, with a range of layouts and views. The property also offers an outdoor swimming pool, BBQ facilities and secure on-site parking. Each air conditioned apartment provides guests with 1GB of free Wi-Fi, a fully equipped kitchen with a dishwasher, full sized fridge, and a coffee machine. The living area has a flat-screen TV and a CD player. There is also a private bathroom, a dining area, a washing machine, and a dryer. When you are looking for comfortable and convenient accommodations in Brisbane, make M&A Apartments your home away from home. Housekeeping service is offered for guests who book for 7 consecutive nights. Please note that cots are available on request with an additional charge, payable direct to hotel and are subject to availability. Please note that no extra beds are available at all and the bedding configuration in the apartments cannot be changed, so extra children can not be accommodated. The reception is open from Monday to Saturday. Last minute trip to Brisbane so prices were premium. Great location. The late check in was like most serviced apartments a little bit problematic but the property was lovely and has some excellent cafes, bars and restaurants close by. I stayed for 2 nights, with friends, on an upper floor apartment with views towards New Farm. The apartment itself is spacious & it came with a deep balcony so that we could also enjoy the humid Brisbane summer evenings. The building is about a 10 minute walk to Fortitude Valley station and a 2 minute walk to the James Street restaurants and the Fortitude Valley pool. My only gripe was that there was no A/C in the second bedroom. Its not something that particularly bothered me, but it might bother others. Excellent value for money for a great apartment in a great location. Comfy beds, well appointed bathrooms. my favourite place to stay in the valley. nice staff and close to everything. An apartment hotel so good sized rooms, handy location to James ST and the Valley. We arrived to check in at 1.45pm, the sign on their recpetion door stated their close time for that particular day was 2pm although the doors were already locked and knowone there. So i contacted the after hours check in phone number and completed that process to get our room keys. I originally needed to orgaise parking with reception on check in but given they weren't there i couldn't do this.. i spoke to two different girls over the phone in regards to parking and both were no help with pointing me in the right direction on where to park or how to get into the parking for our 3 day stay. The room was modern, nothing special, couch could only seat 1 person comfortably and way too small to even lay on, and the other arm chair was disappointing. The room did serve its purpose, giving us somewhere to sleep for a few days but after the initial stuff around with check in and parking i would not stay here again. Nice, well maintained apartment. Arrival was a bit tricky with limited information with us arriving after hours. The apartments are a little too secure, you will need to use your door pass to even go in the lift and we were given very few instructions to use a fussy car park. The pool isn't heated unfortunately but a lovely outdoor space. Once you get the routines sorted it's a great apartment, with everything you need in a good part of town. No access to onsite parking. No one available on sundays to help. This is not a hotel, you are renting a private apartment for the night. It should be advertised that you have to request parking or pay to park. Carpark very confusing. Room was okay for a 1 night stay. Wouldnt stay in summer as no aircon to bedrooms. Would not stay here again. Great place. Definitely recommend staying here. Apartments are fully furnished and new. Rooms/location were great. However we didn't know and weren't notified about the parking. When we booked it didn't state anywhere that you had to pre book. It was confusing to organise as there is no one at decoration after 2 in Saturday's and no one on Sunday's. They made it out like it was our own fault for not having known this before hand. Other than that nice rooms and good location. New apartment, good location, free wifi of 1gig. Had foxtel in the room also. 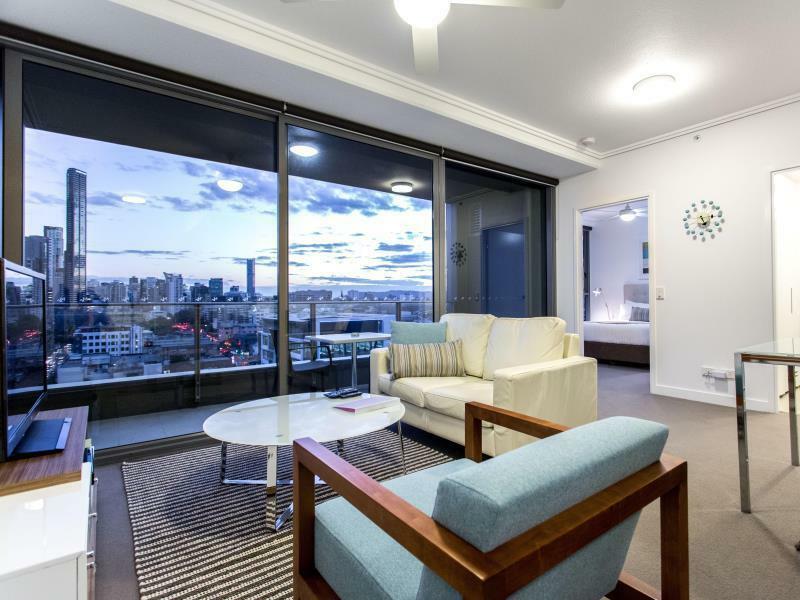 Great appartment, centrally located to James St, brand new, great views up to the city including Storey Bridge. Would definitely stay at M&A again, some great funky new resturants in the building complex that need to be tried. Fantastic and well done M&A...!